BaccHus Office Park Developements are in the heart of Irvine Spectrum and have features such as lush landscaping, burnished block and glass construction accents and a clean, innovative campus-style environment. Building owners & tenants at the complex range from attorneys, to creative R&D, to accountants and much more. 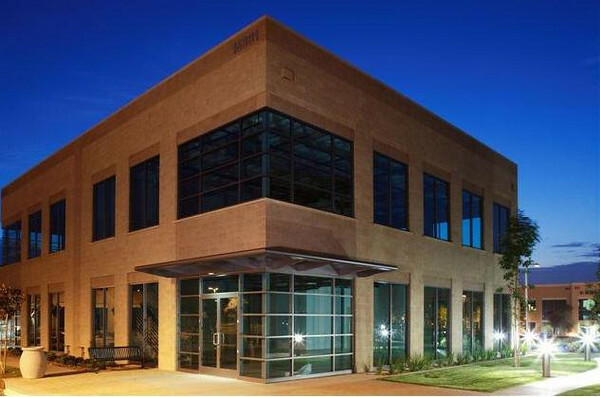 Bacchus Developements also include the BaccHus Signature Series and Jeffrey Office Park in Irvine. There are multiple variations available within these office parks ranging from 1,000 square foot offices to 20,000 square foot 2 story buildings. There are shell spaces available ready for your custom office build out as well as fully built out, even furnished "plug and play" suites available for sale, lease or sublease. Be sure to contact Jordan De Meis, Broker, with questions or to schedule a tour and/or request a virtual/video tour. There are many brokerages advertising these suites but they represent the Landlord/Owner's best interest. I can be your own exclusive represenative who will look after your best interest and negotiate the best deal for you. I have represented clients leasing and buying space in this area for almost a decade. New developement, modern architecture, office buildings available in shell condition or fully built out.